A dear friend (ate Ning) from Jeonju sent me a box of vegetables early this week. She packed several “ampalaya” (bitter gourd), okra, “kangkong” (watercress), “sitaw” (string beans) and “saluyot” (moolah :D). It was so exciting considering that these vegetables are not readily available in Korea. I immediately thought of the “ginisang ampalaya” (sauteed ampalaya) that my niece, Cristina, used to make back home. 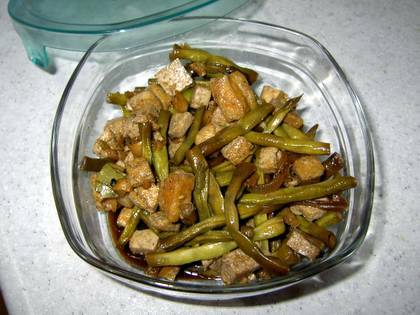 It was my first time in two years for me to eat “sitaw” or string beans. I can’t wait to have “ginisang ampalaya” this weekend! ano pong korean langauge ng string beans at watercress po?